I have shared many ‘perfectly posed’ photos with you over the last few years. You have seen the Sugar Snaps smiling for the camera and cuddled up together. You have seen the professional shots featuring smiling faces. 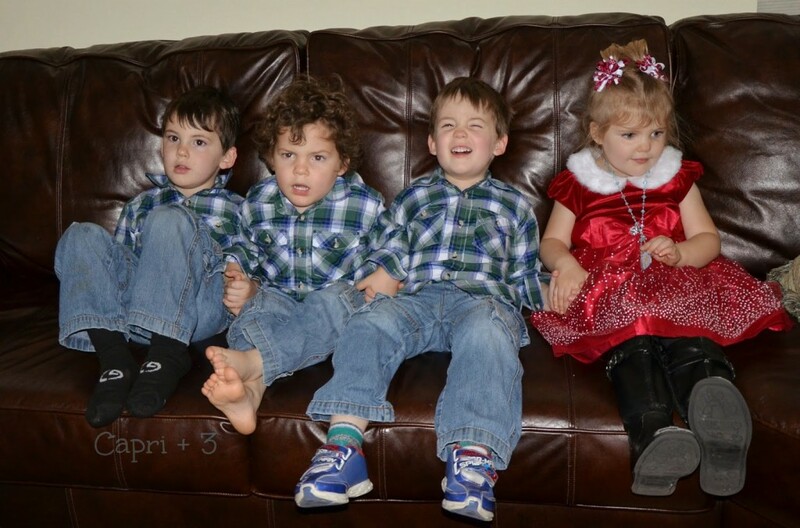 You may wonder why your children do not look so poised in group shots. Well, I have a confession. You are seeing the cream of the crop in terms of photos. I usually get one ‘good one’ in dozens of attempts. The majority of our group shots are pretty goofy. 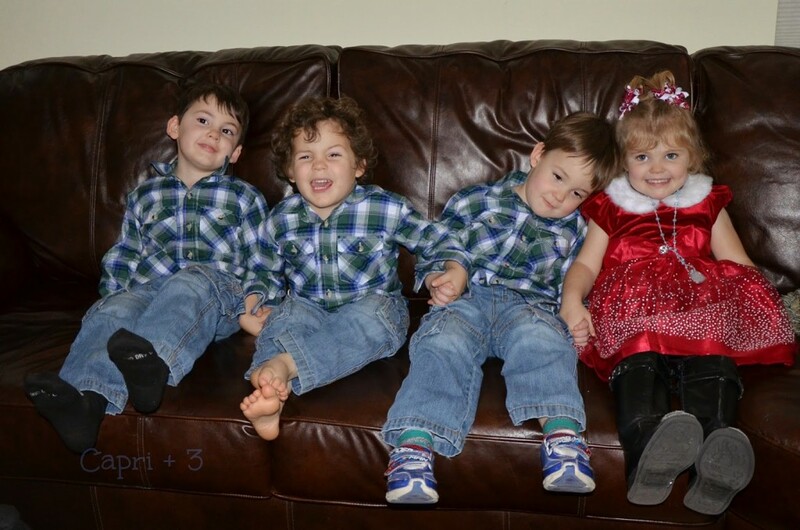 Getting four children to all look at the camera with a natural smile is not an easy feat. Here is one group session where we did not even get one ‘wallet worthy’ photo for the grandparents. I plan to make this a series, so you can see just how awesome our group shots usually are. 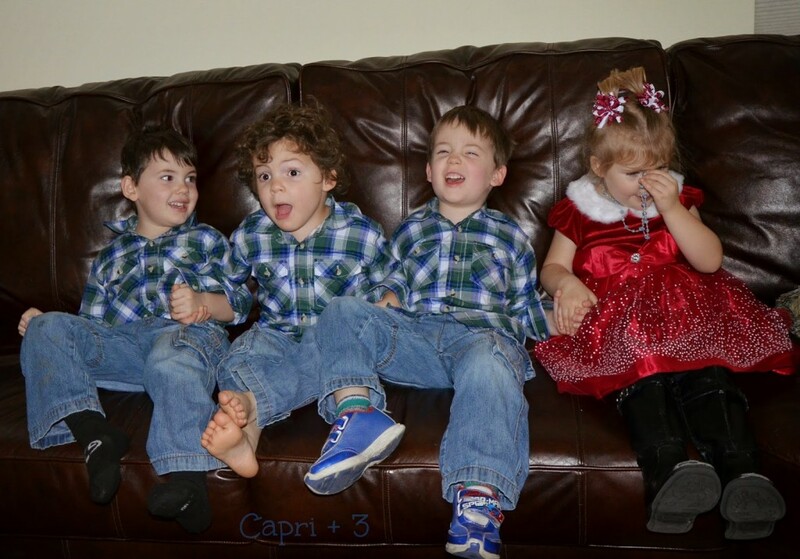 I would love it if you’d share your goofy children or family shots on the Capri + 3 Facebook page. Surely, we are not alone! There you have it! These are our typical group shots. In case you are wondering, no, we did not ask them to hold hands for these. If you have any individual, family or group shots which are not picture perfect, I would love it if you’d share them on the Capri + 3 FB page! I love seeing these.. what a cute bunch you got there! Glad to see I'm not alone! 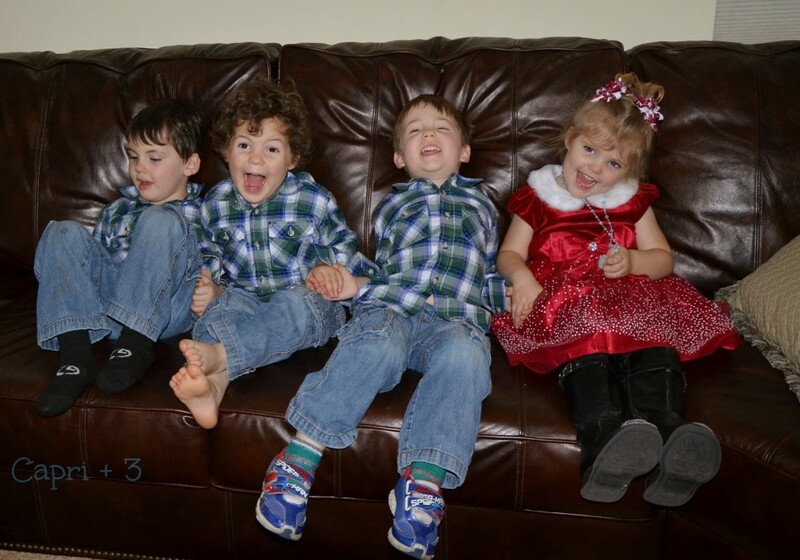 I'm lucky to get one good picture out of a dozen with my crazy kids! 😉 Have a wonderful week! I love seeing the behind the scene shots to professional photos! The outtakes are cute too! I actually think that the goofy shots are really the best. Your children's personalities really shine through. And they are cute in every picture. It is funny how many of these shots most families get before they get a 'standard' smile shot. You have a great week too! I think I will be sharing many more of our real family photos. That is much more of our reality than the smiling posed ones! I agree that their personalities are more evident in the goofy photos. I am also amused that they chose to hold hands during this whole sequence of shots. We have many blurred images in our archives. When they are toddlers, they seem to be in perpetual motion! I love your friend's hashtag!